Opening a restaurant can be a truly exciting endeavor, but not everyone, sad to say, does it properly. Although there are many restaurant owners out there, not many of these restaurant entrepreneurs have the right knowledge regarding how to properly open and run a restaurant. So, are you planning to open a restaurant? Here’s your guide to doing it right. First, you need to choose the right concept. When we say concept, we mean the actual theme. Will it be a fine dining establishment, or an informal diner or bistro? What cuisine are you planning to specialize in? This will help determine, among other things, the restaurant furniture you need to buy. Next, you need to establish the restaurant’s location. Before you sign a lease for the first location you find, think about this first: is it located in a busy and popular area, with lots of pedestrian traffic? If it isn’t, is there enough parking space and is it easily accessible by car or public transport? The name of your restaurant counts for a lot as well, and should be based on your concept and theme, or even the location. For instance, if you’re planning to open an Italian restaurant, then perhaps you can have an Italian name for the restaurant, such as Francesca’s or Giuseppe’s, or a diner name such as New Haven Diner or Point Place Pub. Every business needs a business plan, and this is even truer for restaurant businesses. By creating a business plan, you can see potential problems even before you open your restaurant (such as a bad location or a customer base that’s not big enough), and you can get proper financing with a business plan as well. Having a business plan allows you to be taken more seriously by banks and investors, and having a business plan allows you to take care of important permits and licenses as well as other necessary paperwork in good time. The next step is designing your restaurant. One rule to live by is this: you never know how much space you need until you begin designing. Think of everything that needs to fit in there, such as kitchen equipment, restrooms, a waiting area, and, of course, the main dining area itself. 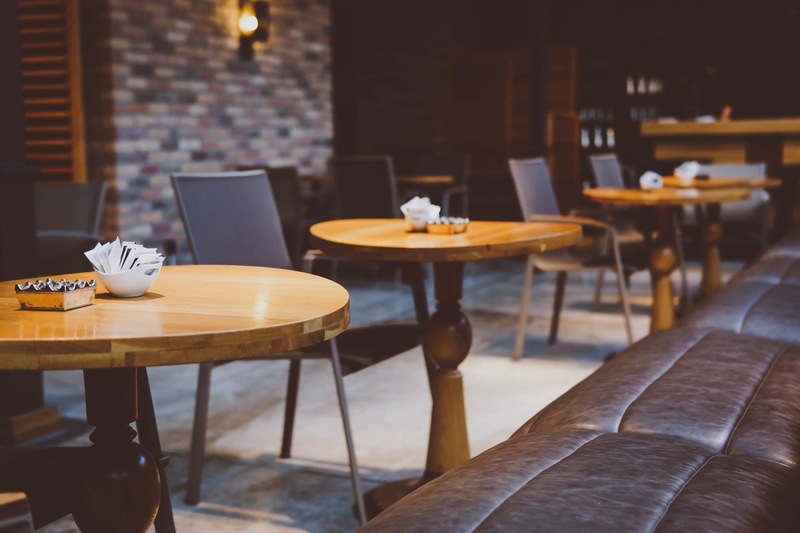 Having a design will also help you choose the proper restaurant furniture, be it booths, a bar, tables and chairs, or a combination of all of these. Take note of the seating capacity of your restaurant (which will undoubtedly be based on the available space), and carefully considerthe color-scheme, and décor, which can revolve around your restaurant’s concept and cuisine. Good luck, and don’t forget to advertise!